This is more of a historical psychological thriller than a Hollywood blood and guts horror film. 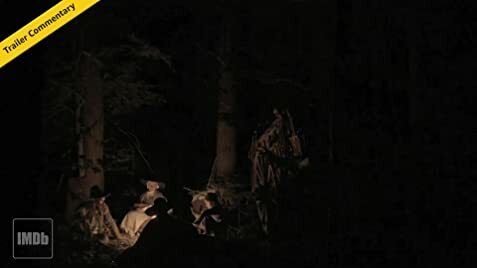 The film is a loving and accurate recreation of Puritan New England in the 1600s with everything from the language to the sets being authentic to the period. That in and of itself makes it fascinating to watch. Having lived in Virginia, where the Jamestown Settlement and the 1600s sometimes can seem like they happened the day before yesterday, I especially enjoyed the film. The location, in Ontario, reminded me of rural Virginia in winter, which made me quite homesick. So the film might have affected me more than some other audience members. 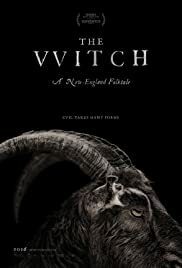 The Witch is a fascinating glimpse into Christianity as practiced by 17th century Puritans. Satan and Evil are almost tangible presences in the woods and wilderness of the New World, while God is a distant, cold, and demanding being who must be constantly begged for forgiveness and mercy, since all human thoughts, words, and deeds seem to be gravely sinful and offensive to his eyes. A family of seven (parents, four children, and an infant) are exiled from their plantation community for not adhering to the accepted interpretation of scripture. They build a farm at a distance from the plantation near a frightening wood. The farm is failing (the family won't have food to last the winter). Meanwhile, the infant has been snatched from the oldest daughter while in her care at the edge of the wood. From this point on the family either descends into madness or is destroyed by Satan in the form of a witch who lives nearby in the woods. How the family's disintegration is interpreted will depend on which century's point of view you choose to use.